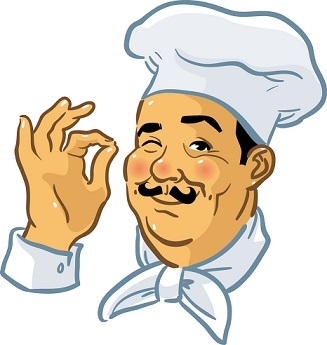 You just “discovered” a website with Sauce Recipes and Gravy Recipes used by a real restaurant to help build its business! Please don't miss reading the article about this wonderful accompaniment, just click here. I believe it is worth your time. Your pastas will come alive with this restaurant recipe. So, too, will your seafood. Check the website for recipes that use it. Preparation time: about 45 minutes. Number of servings: about 12-15. You've got to love this recipe for meat, seafood, veggies and potatoes! Preparation time: 15 minutes. Makes 8 servings. This restaurant recipe is both delicious and relatively easy to make. However, it does take some time to cook (reduce). Preparation time: 1 hour. Number of servings: 20-25. Use this to top the restaurant recipe for Bread Pudding. This restaurant recipe can also be used with ice cream and many types of cake. Preparation time: 45 minutes. Makes 3 cups. What about a delicious enhancement for a pork or beef dinner you want to prepare? This recipe has “got you covered.” Preparation time: 15 minutes. Serves 4. This recipe will also enhance some pork and chicken dishes. You will even love it with fried potatoes, warm tortilla chips and even potato chips! Preparation time: 15 minutes. Makes about 1 1/2 cups. Over the years we've tried lots of different store brands but we always come back to is this delicious recipe. Preparation time: 15 minutes. Makes about 2 cups. You'll want to use it when you made enchiladas, but you'll also want to use it when you make the Three Bean Enchilada Chili, another favorite restaurant recipe on the website. Preparation time: 30 minutes. Serves 6-8. Serve this horseradish recipe with cooked ham or corned beef, beef, seafood or chicken or as an appetizer condiment. 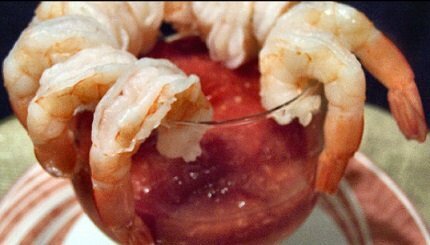 In fact, there are many ways to use this recipe other than as a condiment. 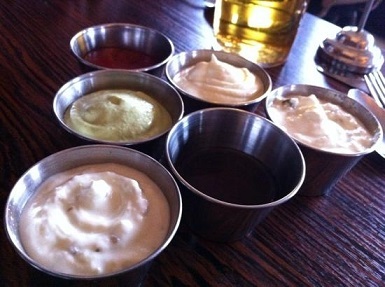 You can use it to enhance many dishes and side dishes. Preparation time: 5 minutes. Makes 1 3/4 cups. This restaurant recipe is very flexible. It serves many “masters.” Preparation time: 25 minutes. Number of servings: 1 1/2 to 2 cups. Marinara is easily cooked. It is of Italian origin but is really more popular in America than in most parts of Italy. Not only good with pastas, use this as a base for soups and as a dip for cheese! Preparation Time: 1 hour. Number of Servings: 12-15. You must have THE classic recipe in your restaurant recipe collection as well! This is one of the basics from which others are made. It is made from a “roux” of flour, milk and butter and is most often served with vegetables, eggs and white meats. You can use this classic restaurant recipe in so many ways you’ll amaze yourself! Preparation Time: 1 hour. Amount: 2 quarts. 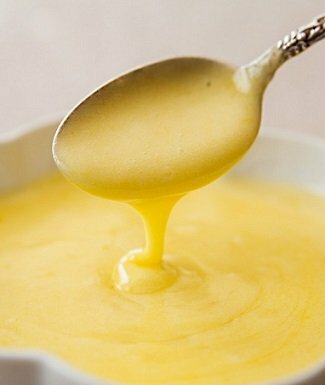 I think this hollandaise can make a fabulous eating experience out of the simplest cooked eggs, vegetables, seafood or meats. Preparation time: 12-15 minutes. Servings: 12-15. The original Hollandaise Recipe (above) requires a cook to use a wire whip (or whisk) in a continual and vigorous manner. That method can be a little time-consuming and sometimes discouraging so I have placed this alternative method on the website for you to try. It uses a blender instead of a whisk. Preparation time: 2-3 minutes. Makes 1 cup or four 2 ounce servings. This Dill Caper Hollandaise restaurant recipe is an easy variation of the classic Hollandaise recipe, but it provides a really delicious blend of flavors. Preparation time: 20 minutes. Serves: 6-8. Tartar sauce is so popular in the area in which I live (Washington State) that we often order it with french fries, as well as fish and chips, fish entrees and other seafoods, chicken, as well as a hamburger spread. Preparation time: 10 minutes. Makes 2 1/2 cups. This restaurant pork gravy recipe has been a secret restaurant recipe for many years. Preparation time: 40 minutes. Serves 8-10 (about 1 quart). 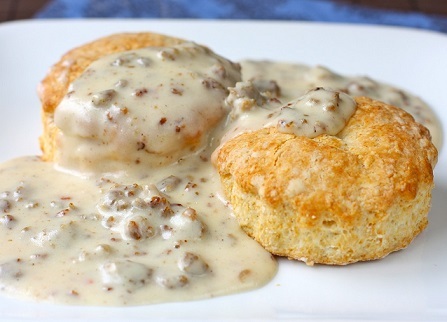 When my sausage gravy met my buttermilk biscuits everyone rejoiced and lived happily ever after! The one has to go with the other for a fabulous breakfast treat. Preparation time: about 25 minutes. 12 servings. 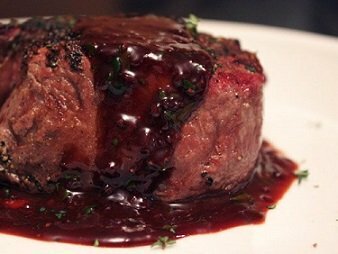 Whatever you wish to grill or barbecue, this barbecue sauce recipe is what you need to please your palate. Preparation time: 10-12 minutes. Makes one quart. Use this on a variety of beef dishes and you'll never be disappointed. Preparation time: 15 minutes. Makes 2 cups. Thank you for finding the website. Enjoy your recipes and don’t forget to click through the website for more customer requested restaurant recipes! 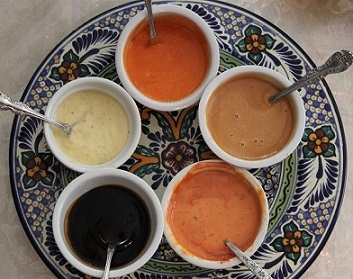 More customer-requested restaurant sauce and gravy recipes will be added regularly. Come back often! With these restaurant recipes you can cook with confidence and style! “The difference between good and bad cookery can scarcely be more strikingly shown than in the manner in which sauces are prepared and served.